The house is situated in the center of Schoorl and behind the house of the owner, but you retain complete privacy. 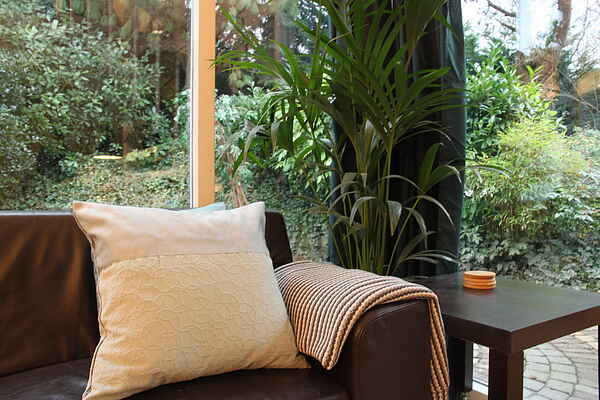 There is also a cozy garden with a nice sitting area to the sun to genieten.Op the ground floor is the open kitchen and a cozy living room with natural light, as well as one bedroom with two 1-beds, a new modern shower shower and separate toilet. The staircase in the living room to the second bedroom on the mezzanine with a lovely 2-bed. On arrival the beds are already made and you can set out to enjoy the beautiful environment with lots of woods and duin.De Schoorl dunes are the highest in the Netherlands, so there is plenty of space to climb, descend and to hang out. For the children there Speelbos Outdoor Center Schoorl dunes. When outside center of Schoorl start cycling or walking. You can thus explore the coastal towns of North Holland, such as Bergen, Hargen and the beautiful beach lagoon at Camperduin. The sea air makes for a good night's sleep.